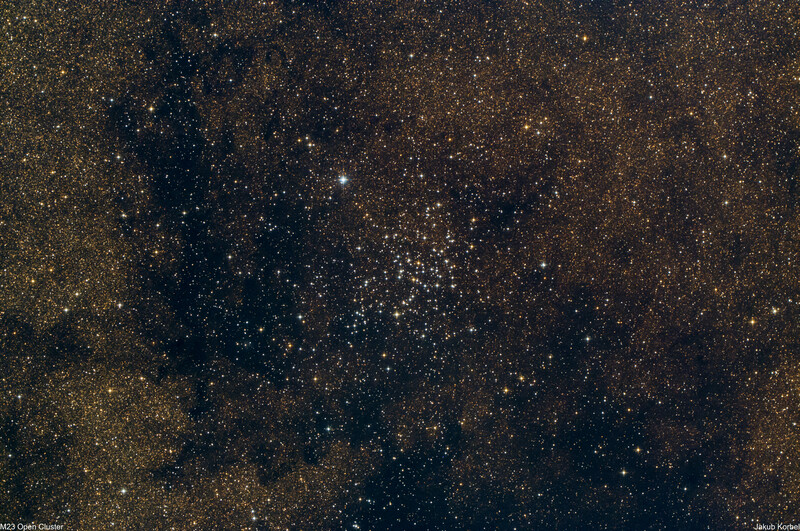 Messier 23 is an open cluster located in constellation Sagittarius not far from the star Polis (µ Sgr). Visually it’s surrounded in rich star field, because in this direction are located star clouds of Milky Way. The cluster contains approximately 150 confirmed members and it’s about 2000 light-years away from the Solar System.